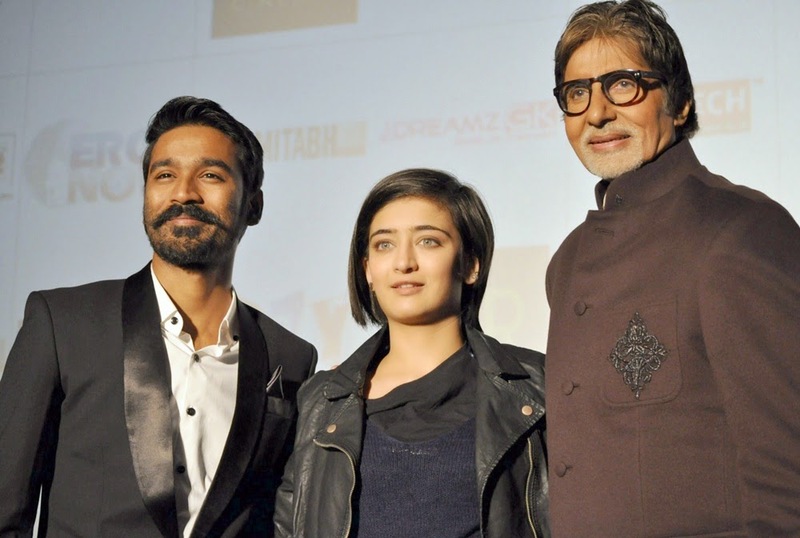 Amitabh Bachchan, Dhanush and Akshara Haasan came to P.V.R Plaza, C.P. to promote their film Shamitabh on 2nd February, 2015, Monday. Amitabh Bachchan mesmerized everyone by his gravity, grandeur and his splendid and magnificent personality. Akshara said, “It was a wonderful opportunity and an amazing experience for me”, when she was asked about her experience about her debut in the movie. The song Piddly, which has become really popular, was brought in conversations frequently as it has been used to fight piracy and has been sung by none other than Mr. Amitabh Bachchan.